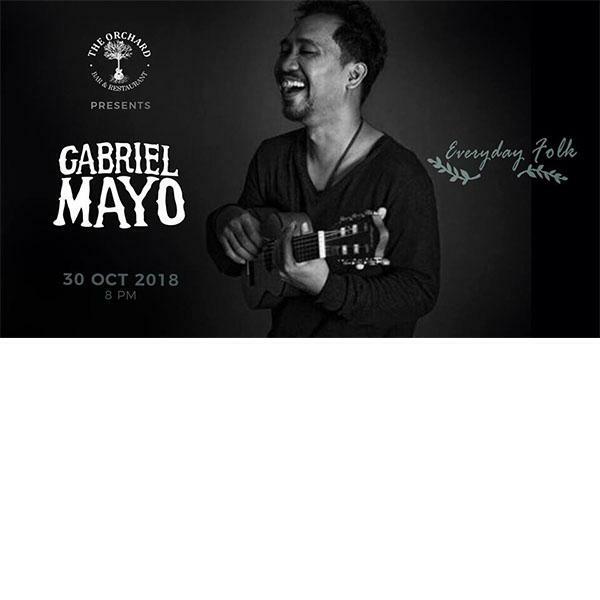 On this edition of Everyday Folk we have the absolute pleasure of having Gabriel Mayo, an amazing singer songwriter coming all the way from Surabaya! Gabriel Mayo began his music career as a drummer for a band, VOX. Circa 2006-2010, They made a major success at Indonesia Indie Music Scene with a single (I'll See You - 2006) and an album (Pada Awalnya - 2007) signed by Aksara Records, biggest indie/minor record label in Indonesia at that time. In the mid 2011, Gabriel Mayo moved to Jakarta pursued his dream as a musician. Being a session player at several bands made him well known in Jakarta music scene and as his greatness love of songwriting world, he started to adopt a different approach to music, switch from 'captain' behind the drumkit to strumming a guitar by venturing into the quieter world of being a singer-songwriter playing at small gigs around the city. In mid 2013, He released a single (You and Me) and began new career in music. Call now to reserve your tables!